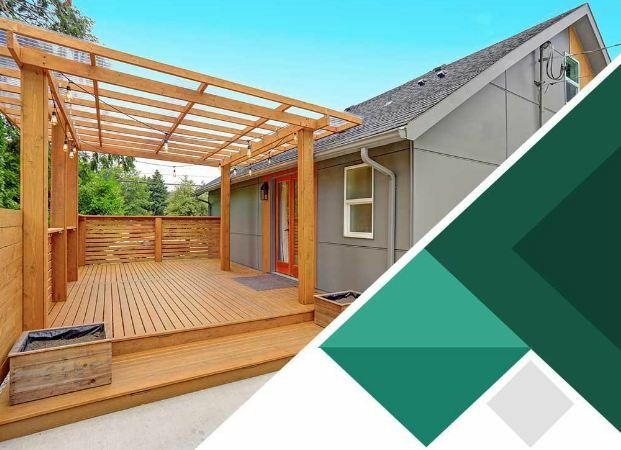 In this post, the experts at The Deck Store discuss the four benefits of a professionally designed patio. With the right patio design, your new addition will increase the value of your home, as you’re essentially adding functionality to an otherwise bare area of your property. On top of that, adding a patio also positively impacts the aesthetics of your outdoor area — especially if the design incorporates aspects of your home and its established aesthetics. A professionally designed patio also helps you negotiate a better selling price for your home, if you choose to sell it in the future. Since you’re technically converting a portion of your lawn into a useable space, adding a patio can unintentionally decrease the care and maintenance needs of your lawn. An overgrown backyard doesn’t look good and it’s difficult to maintain. In contrast, patios are very easy to maintain as you only need to do general cleaning to keep the space looking good. A professionally designed patio will improve the exterior aesthetics of your home. The great thing about patios is that you can personalize them according to your specific tastes and requirements. Whether you choose to make your patio a tranquil retreat for private relaxation or a chic area for entertaining, your backyard will look better with it. The best part about patios is that you can use them for different purposes — as a hub for barbecues, an extension of your living space or a quiet retreat nestled in the foliage. You can also turn your patio into an all-weather space, too, with the right cover and weatherproofing. Whether you choose to use your patio for entertaining or as a private retreat, our deck company can help you with your new addition. Call us today at (701) 223-1008 to learn more about our services. We offer patio design and expert installation throughout Mandan and other parts of North Dakota.